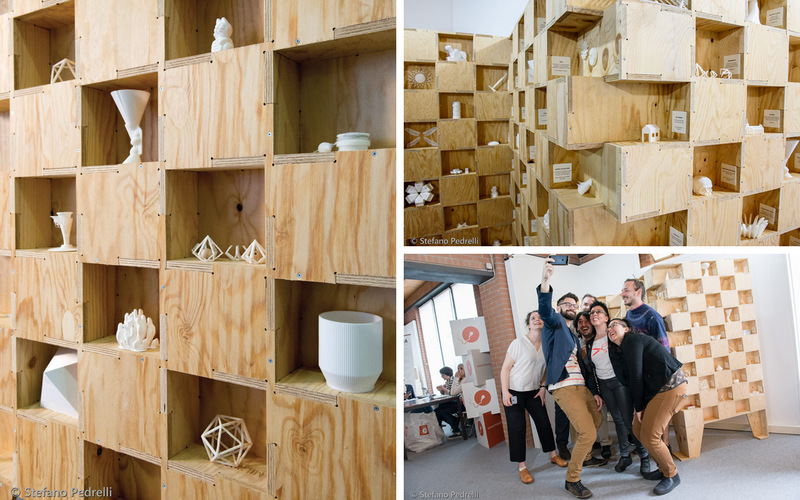 We just returned from Milan, where we spent the month as Makers in Residence at WeMake FabLab. 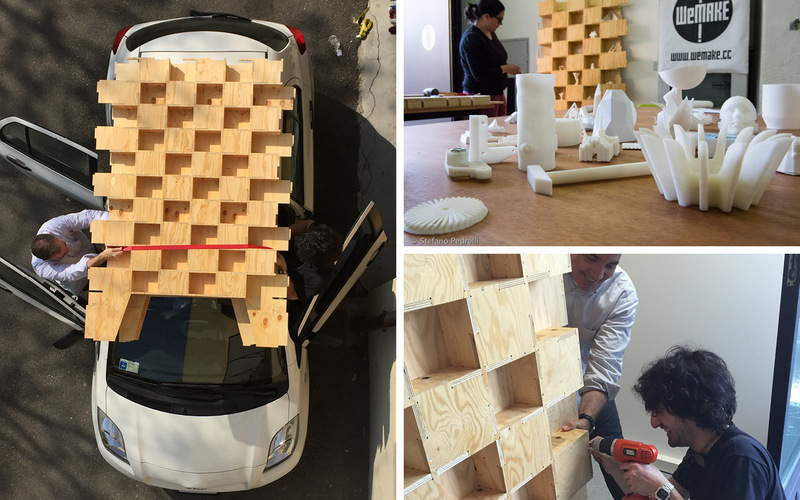 WeMake’s founders, Zoe and Costentino took very good care of us, and opened up so many opportunities in the city to share our work and meet so many inspiring makers and designers. After giving a lecture at Design Library Milan, we designed and fabricated an installation for the Fuorisalone at CNA Milano Monza Brianza’s venue at Savona 52. 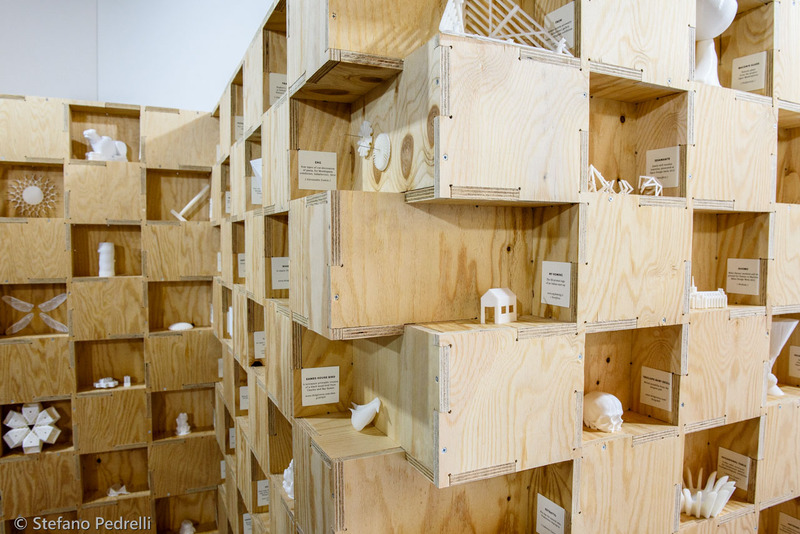 Collaborating with Technificio on the design, and with Costentino and the team at WeMake on the construction, we produced an Open Source Wunderkammer that displayed a cabinet of 3D printed open source curiosities gathered from the furthest reaches internet. Photographer, Stefano Pedrelli documented the residency. 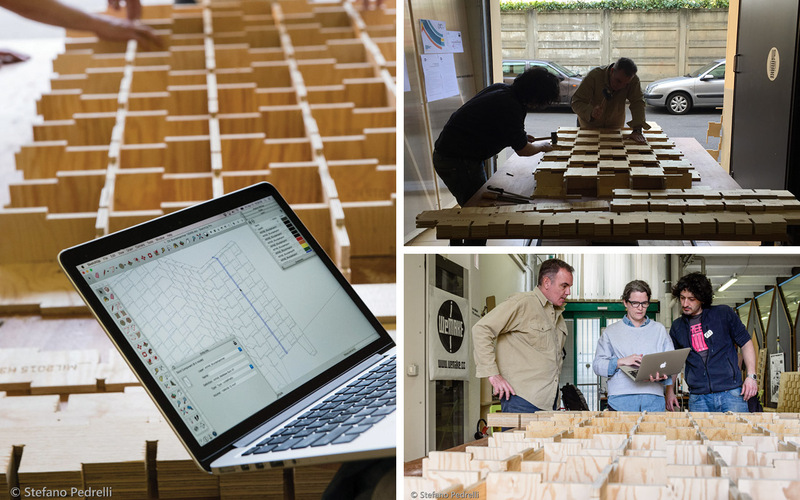 We conducted a workshop on design for CNC fabrication for a class of architects, designers and makers. 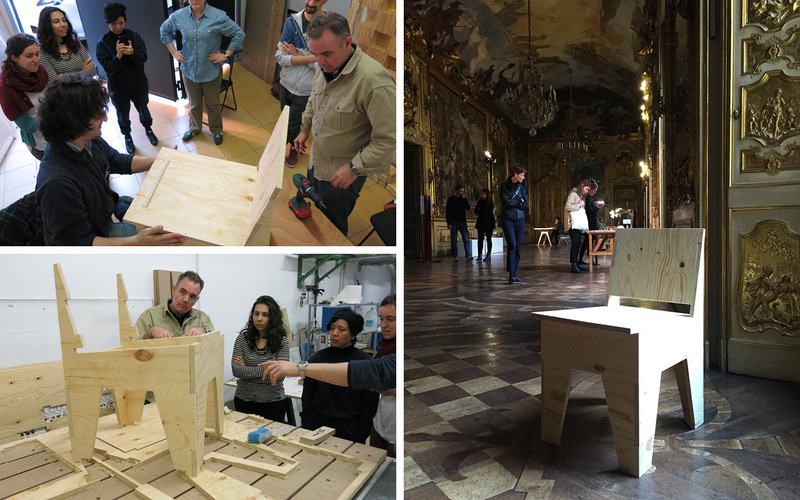 The workshop class produced an AtFAB 5-30 Minute Chair, to demonstrate the workflow and CNC fabrication process, which later became part of OpenDesk’s exhibition at the Palazzo Clerici. Scroll down to see the chair beneath Tiepolo’s lovely 18th Century ceiling fresco.